Beginners who are not aware of current trade investments and who don’t have enough capital to invest may face a lot of setbacks. 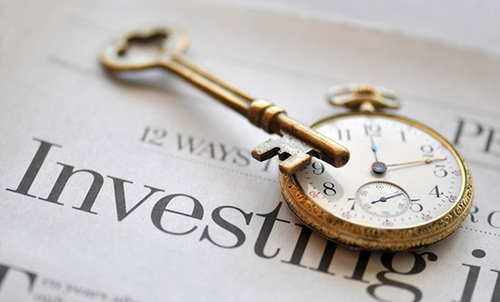 These factors, however, should not discourage an individual from investing. If you are too scared to take the risk, you lose a lot of opportunities. Investing gives you the leeway to increase your income. If you just simply put your money in a savings account, a 2-5% interest will not do to secure your future. Since in this set-up you can easily pull out your savings account, it increases the likelihood of you spending the money in unnecessary expenditures. In a short span, your money is gone and that leaves you with nothing. Lay down the cards. For beginners, the first thing to do when you plan to invest your money is to have a reality check. To start off, do you have a capital to invest on? It is not just capital but do you have a risk-capital? Add up your assets and check which of these you are willing to bet and let go. This may be hard at first especially if all of which are valuable to you. But if you carefully choose which assets are of lesser value to you, this will make it easier for you to accept loss if your first investment fails. Since investing is also an expense, consider it a loss anyway but with a potential to grow. Once you have decided how much you are willing to invest, set your goals and expectations. It is not bad to be ambitious but your goals and expectations should be realistic. Setting goals and expectations can help you plan out your strategy on how to increase your capital. Make the first move. Now that you have laid down the cards, you can now make your move by educating yourself. Since you are a newbie in investing, researching will help you identify which type of investment will allow your capital to work on. Two things I always advise my clients, avoid high risk investments and don’t do what the average investor is doing. Avoid following the market trend. Usually, investments that are currently booming have the tendency to collapse in just a short time. Research on investments that lasted for years and/or currently doing well in the market. There are also many forums in the Internet that discuss investing for beginners which you can join in. There are also some forums which have accreditations with various institutions that help beginners in investing. Investing for beginners is like gambling. You may win or lose – whichever it goes, you gain experience and knowledge. As you play the game, you learn what strategies to apply on your next bet. Can’t get enough of your blog. Good professional layout too. This post is exceptional. Really above and beyond. I like your thoughts about gaining experience and knowledge.